UNITED NATIONS, (IPS) - A leading non-governmental organization (NGO), advocating the participation of women in efforts to maintain international peace, has urged the U.N. Security Council to do more to live up to its commitments to its longstanding agenda on women, peace and security (WPS). The NGO Working Group on Women, Peace and Security (NGOWG) has released a new policy brief entitled Mapping Women, Peace and Security in the UN Security Council: 2013-14: Trends and Recommendations. The report outlines the findings from the NGOWG`s monitoring and analysis of the Security Council with regards to its implementation of the WPS agenda. The agenda recognizes that a non-gendered understanding of conflict significantly undermines international peace and security efforts. In recent years, the Security Council has established a strong normative framework on women, peace and security. Nevertheless, the NGOWG is calling for the body to further institutionalize its commitments. The group says that consistent support for the broader WPS agenda, especially promoting women’s participation within the core work of its mission mandates, is lacking. Rather than being embedded as a core function, the Council relies on individual member states to advocate the advancement of the agenda. 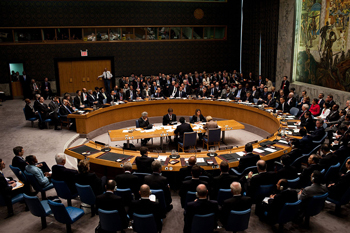 More positively, the NGOWG noted a growing willingness on the part of the Security Council to recognize and address sexual violence in conflict. And 2015 is the 15th anniversary of the first resolution on women, peace and security, known as the Security Council Resolution 1325. The landmark resolution recognized that conflict affects men and women differently and that both genders have critical roles to play in peace and security processes and institutions.